A boxy, functional building, latterly providing books of stamps and sellotape via glacially unhurried staff, it’s now a fun and friendly pub enthusiastically serving good beer and food to well-behaved children and gluttonous adults. And, if you don’t keep your eye on them, great packs of eagerly welcomed ravening dogs, too. 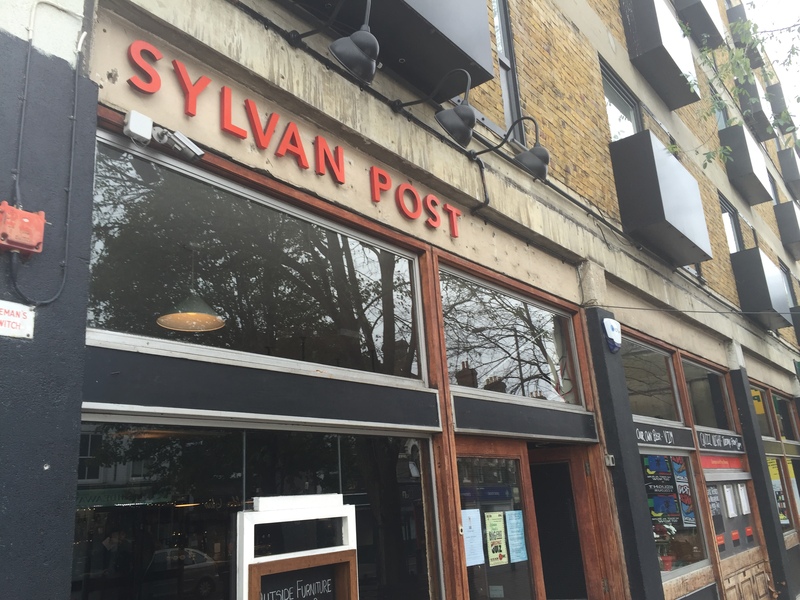 Sylvan Post is owned by Antic, which has form when it comes to magicking old public buildings into new life – like the controversially named Job Centre in Deptford, Balham Bowls Club, Woolwich Equitable and most recently Knowles of Norwood (named after a hardware shop). 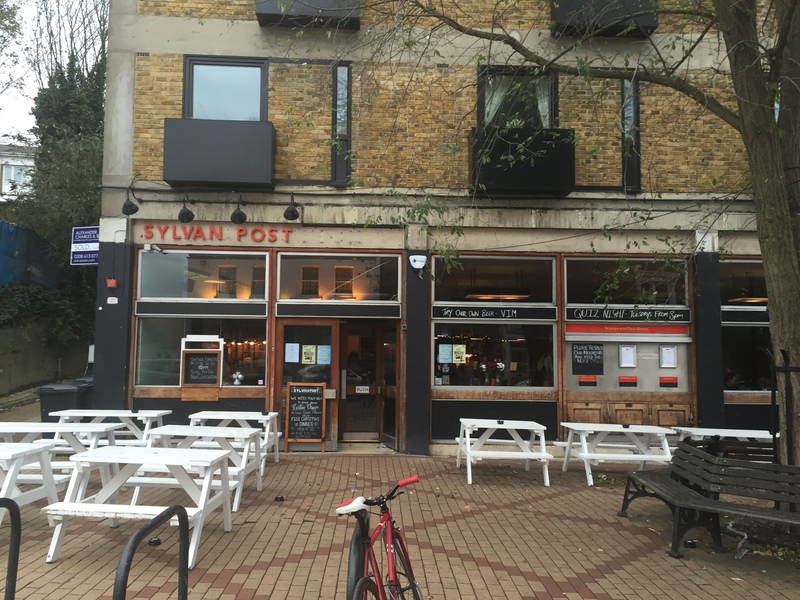 Like its sister boozers, Sylvan Post stocks exclusive craft brews from the Volden brewery in Croydon and takes its visual cues from the building’s former use. So the floor is scuffed linoleum, the staring plate glass windows remain unadorned and the bar takes the place of the old counter, now happily doling out gin rather than giros. A warm orangey-red coloured framed scheme has been applied on the far wall, marrying nicely with the wood and the chair backs. 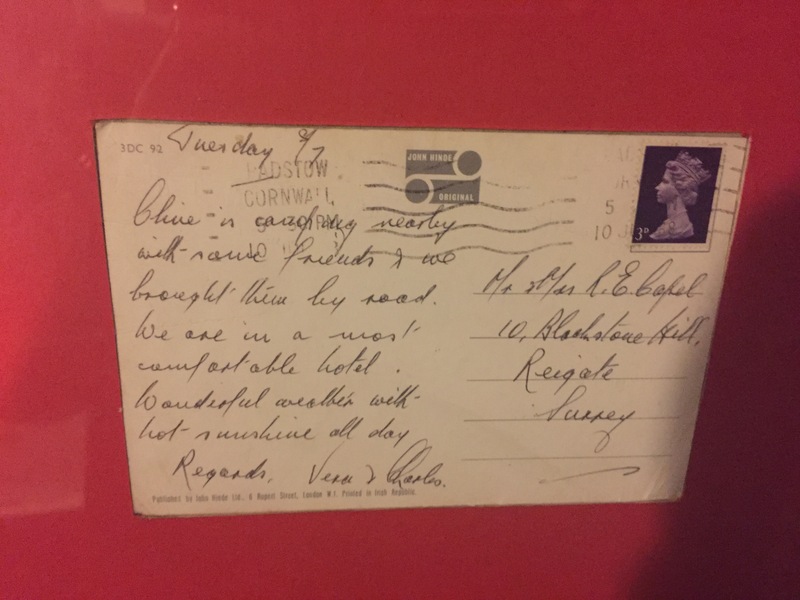 The rear rooms where fragile Christmas presents would have been hurled against walls and envelopes ripped open for children’s birthday fivers have been transformed into cosy low-lit snugs lined with box files and decorated with stamp collections and old lost postcards from unloved aunts. 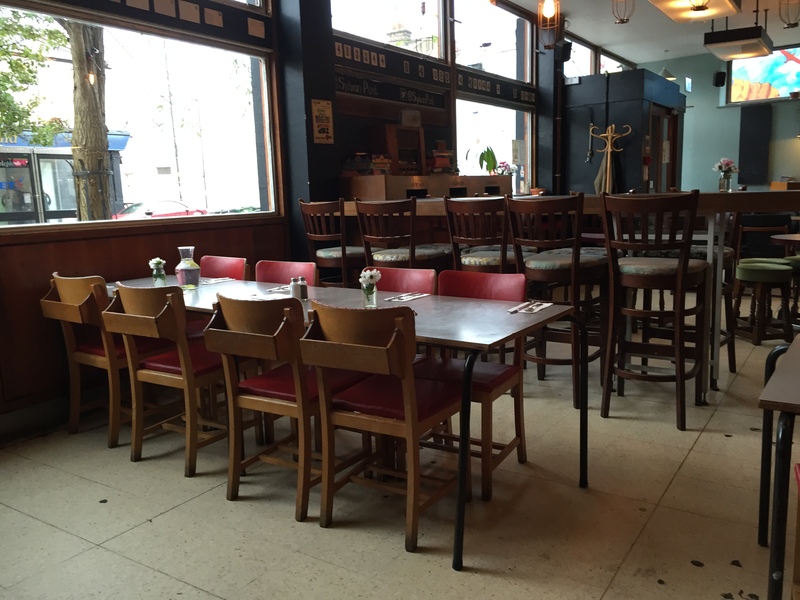 Take your pick with the seating – lone drinkers and readers occupy stools set far enough back to quaff from the diners who are seated in tiny school-reminiscent chairs around formica tables with their dogs around their feet. And there are squidgily intimate booths where the aforementioned dogs and children can be quietly stashed against the wall while the quieter, non-dining young ‘uns avoid them in the old strongroom at the back. 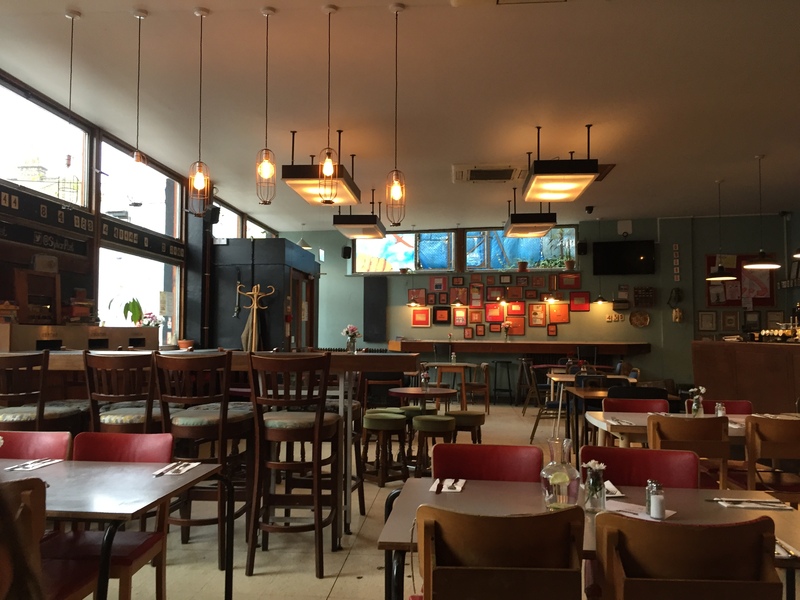 The place is spacious enough to accommodate all styles of Sunday drinking. And everyone seems to get along merrily to an upbeat, soulful soundtrack. Guest ales such as Belleville Tie-Dye Rye, Gipsy Hill’s Dissident porter and Brixton’s Reliance pale ale and Signature Brew’s unfiltered Vienna lager were brought to our booth by polite and friendly staff who dealt unfailingly with irritatingly chatty five-year-olds (my daughter) as well as thirsty, hungry menopausal parents (your writer and his wife), even if they must have been wondering who the hell was going to drive home. 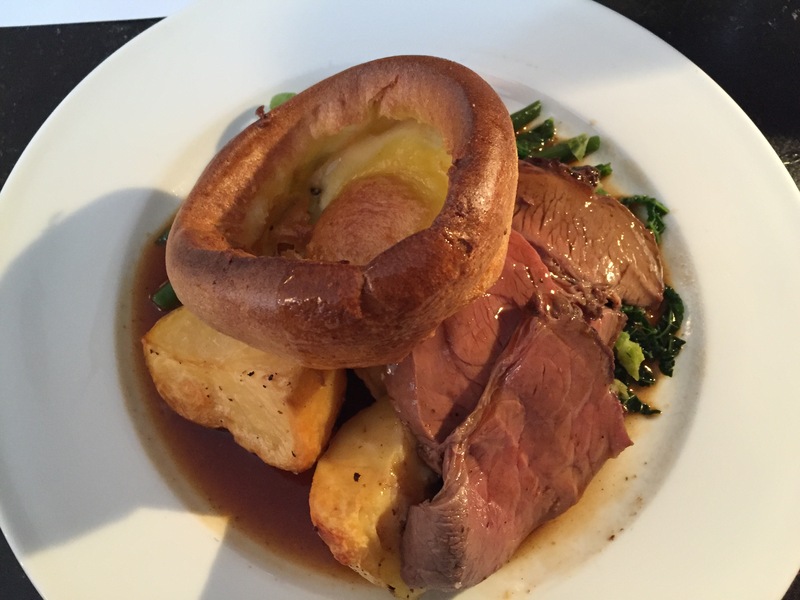 Food was well made, hearty and keenly priced. Half a beer-marinated chicken with trimmings was predictably a bit dry but two portions of nicely pink dry-aged topside roast beef (the kids’ half portion surprisingly generous at £6.75, complete with what seemed like a full adult’s trimmings quota) were gulleted quickly. A single serving of pear and chocolate crumble was ample for three. We were sorry to leave this pub humming with noise and good vibes and clearly popular with locals. 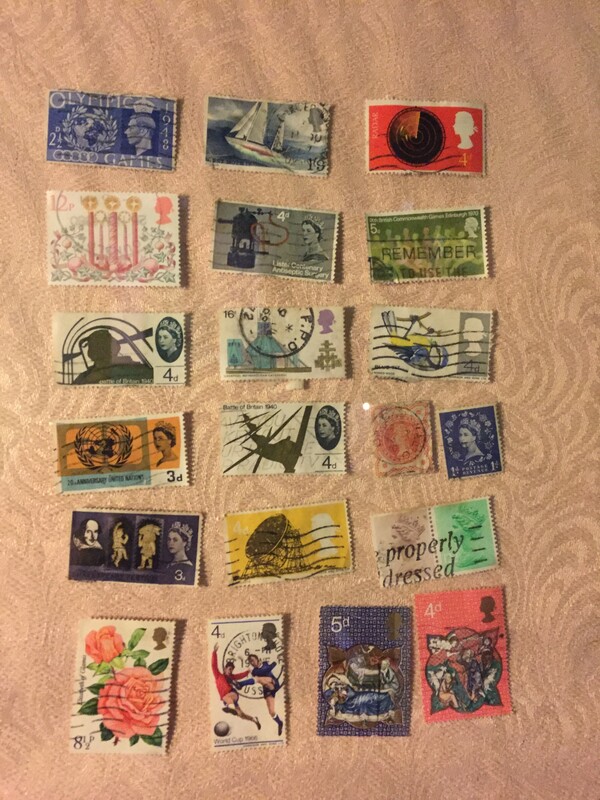 But the Sylvan Post certainly sorted us out. 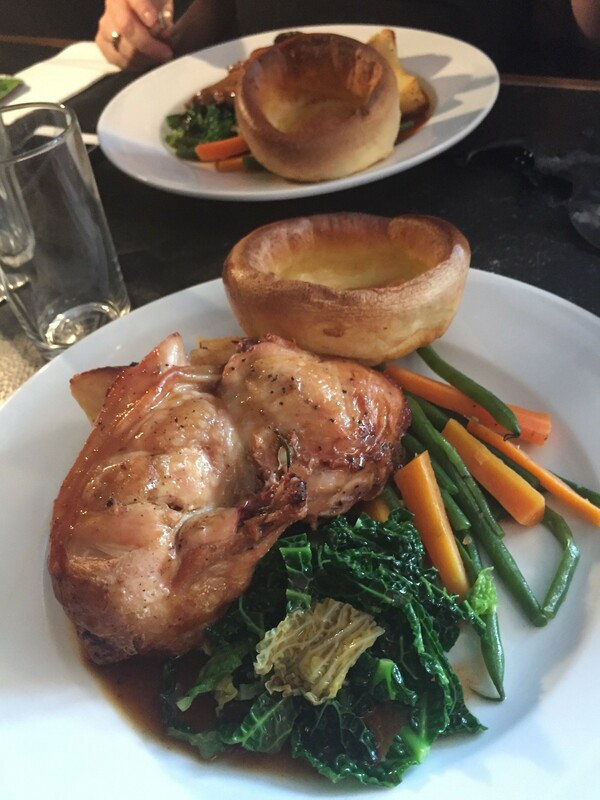 This entry was posted in Drinking, Forest Hill and tagged in dog friendly pubs, forest hill, kid friendly pubs, London, london pubs, south east london.